Metronidazole (MNZ) has been broadly prescribed as therapy for \(H. pylori\) eradication worldwide. Second line regimen using MNZ is covered under national health insurance in Japan. Related literature (published until April. 2016) were reviewed. Oral exposure of MNZ has shown carcinogenic activity in mice and rats. \(\uparrow\) 1983 Cavaliere et al. \(\uparrow\) 1984 Cavaliere et al. Data on MNZ carcinogenecity for humans is still not sufficient. Another retrospective study3 of children (\(<\) 5 \(y.\), n \(=\) 328,846) who had been exposed to MNZ in utero also reported negative results (RR 0.81; 95% CI, 0.41$-$1.59) on cancer incidence of all sites. Brain/nerve related: seizures1 , aseptic meningitis2 , encephalopathy3 . \(\uparrow\) the effect of warfarin. \(\downarrow\) the function of ALDH2. 1. Hari et al. 2013; 2. Farmakiotis et al. 2016; 3. Khan et al., 2007;4. Ohnishi et al. 2014;5. Kumar et al. 2013;6. O’Halloran et al. 2010. Abbreviations: AMPC, amoxicillin; CLA, clarithromycin; MNZ, metronidazole. Evidence-based guidelines from ESPGHAN and NASPGHAN for Helicobacter pylori infection in children. J Pediatr Gastroenterol Nutr. 2011;53:230–243. 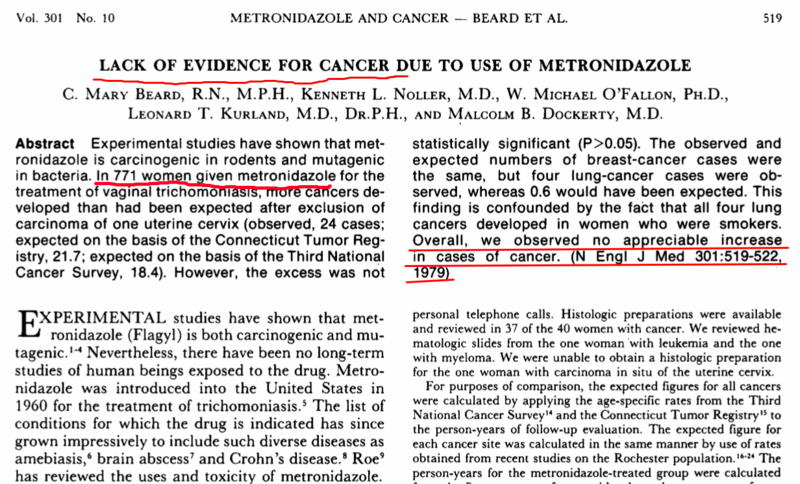 So far, there is no convincing evidence that short-term exposure to metronidazole would increase the risk of any cancer in human. 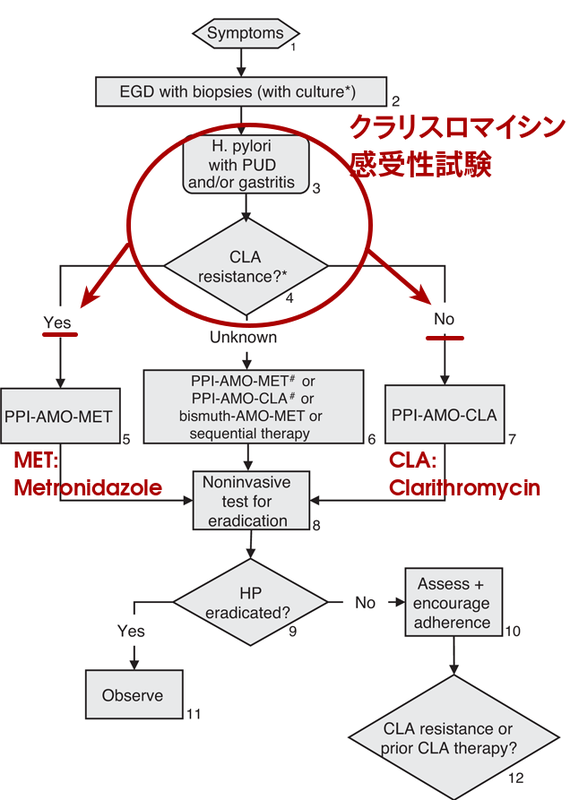 Considering the high resistance rate of clarithromycin in Japanese children, first-line therapy of PPI + amoxicillin + metronidazole would be an alternative option.